Behind the scenes photos from Brad Riddell's films and projects. Eugene Levy on the BAND CAMP set. Danny Pudi, Michael Trotter, Preston Jones on the ROAD TRIP II set. Chris Owen on the BAND CAMP set. Arielle Kebbel on the BAND CAMP SET. 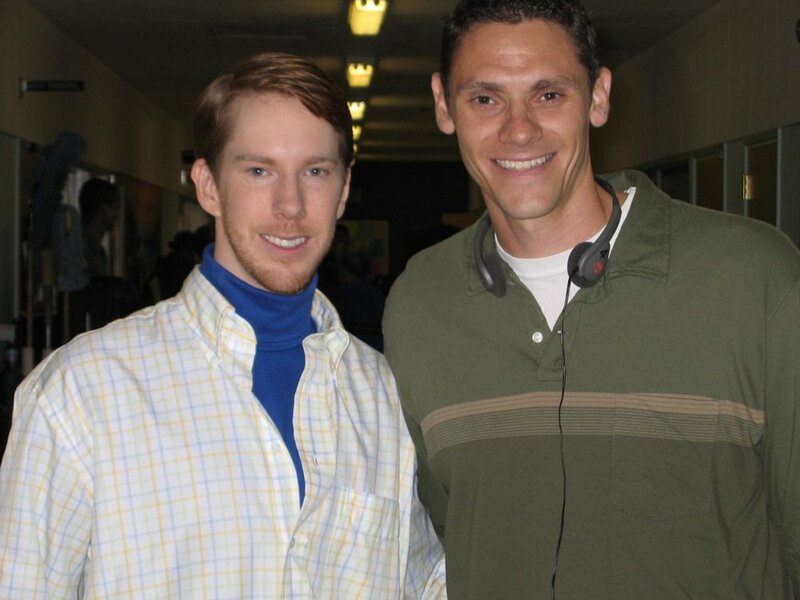 Brandon Routh and Steve Rash on the CROOKED ARROWS set. David Pasquesi on the TEN MORE set. Anna Hozian and Atra Asdou on the OTHER PEOPLE'S CHILDREN set. David Hanson, Steve Carlson, Jeff Carlson on the SLAP SHOT: THE JUNIOR LEAGUE set. Daniel Brehm, Mo Allen, Tyler Smith on the GAMICONOCRON set.